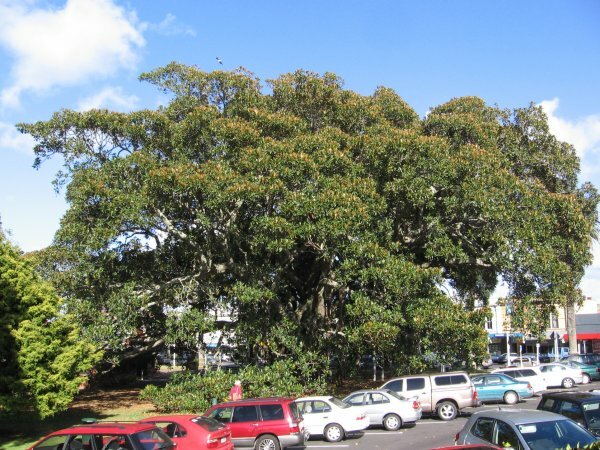 This large Moreton Bay fig has been a significant feature of Devonport for many years. The images show the great lengths gone to to protect the aerial roots of the tree. In 1998 the tree was seriously affected by a pshyllid infestation and over the next 5-6 years much effort has gone into managing the health of this historic tree. A tree with many aerial roots. The tree appears to be multi trunked but the number of stems is difficult to determine. 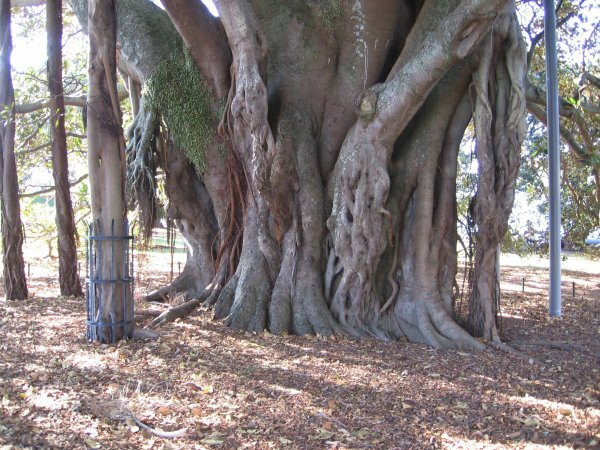 The tree does not have the typical buttressing of Moreton Bay figs.